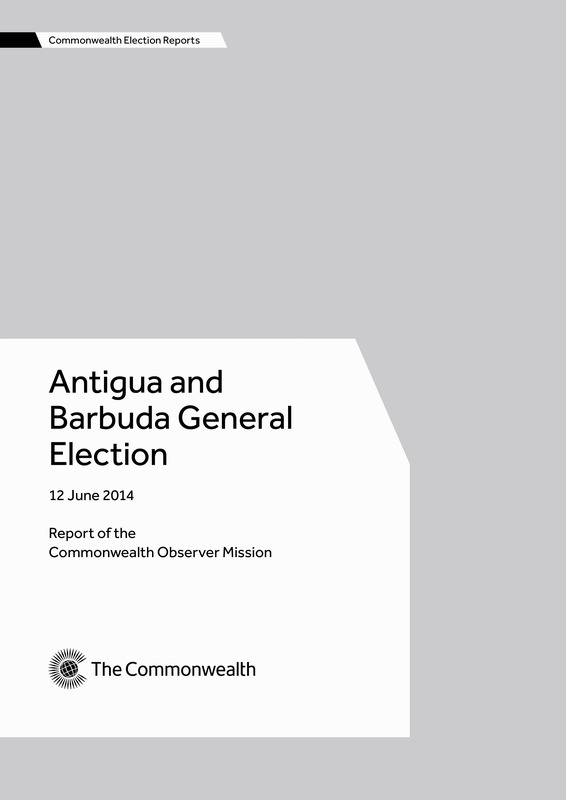 The report of the Commonwealth Observer Mission for Antigua and Barbuda’s general election held on 12 June 2014. The mission was chaired by the Rt Hon Paul East QC, former Attorney General of New Zealand, and was comprised of 2 members in total. The Mission found that the 2014 general election was conducted in a peaceful, credible and transparent manner. Voter turnout was high and the Mission commended the Electoral Commission on its management of the entire electoral process. The report makes a number of recommendations for consideration ahead of the next elections.